This week we’ve been enjoying the lovely lands of South Cornwall, visiting lots of Amazing Gardens (as son1 calls The Eden Project, The Lost Gardens of Heligan and the lovely National Trust property of Lanhydrock), eating our weight in cream teas, soaking up the beautiful rugged coast line, sitting in traffic jams, trying not to wish all the other people cluttering up the small pretty towns would go somewhere else and remembering that Cornwall is much nicer and quieter in the winter. We visited the Tate in St Ives on a rainy day, we weren’t all that impressed with the exhibitions this year as in previous years but one caught my breath and made me cry. 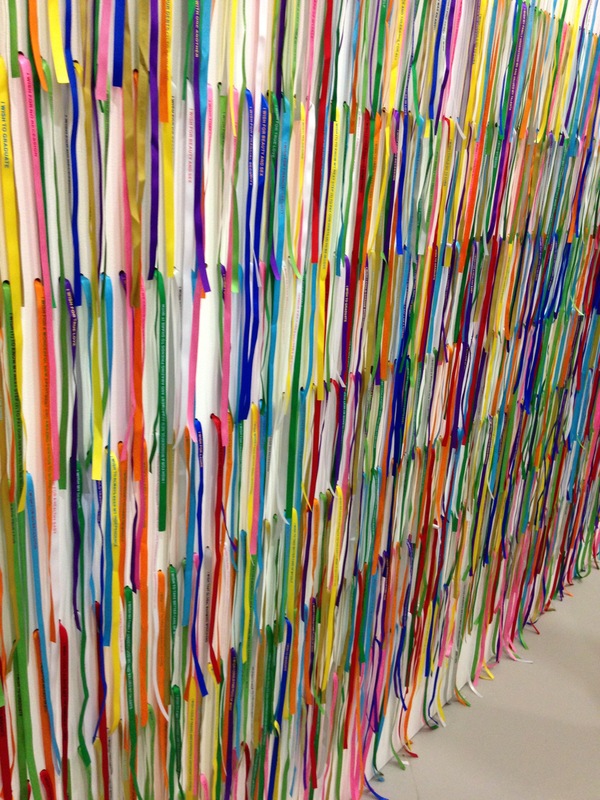 It was a display of wishes from local people and people visiting the town. 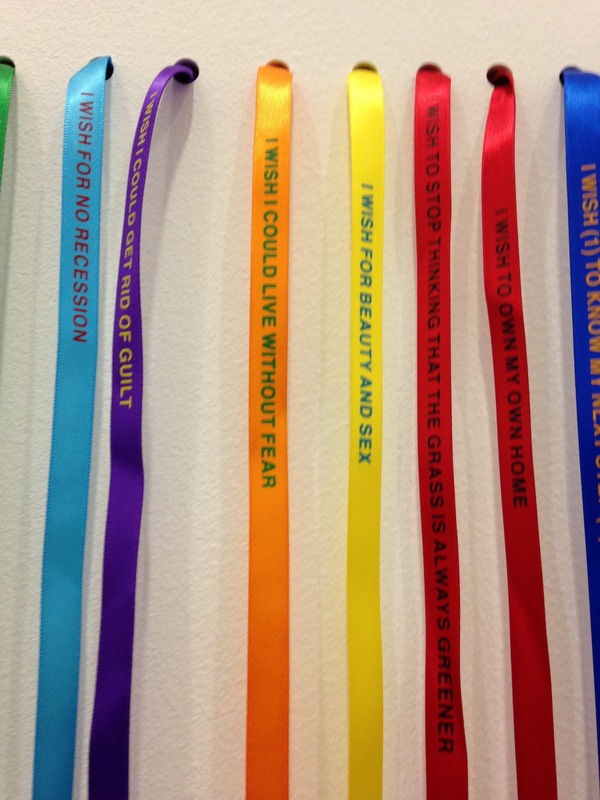 (Rivane Neuenschwander’s large-scale participatory work I Wish Your Wish) Wishes printed out on pretty ribbons for all to read. Wishes like: I wish I had a lot of friends. I wish for financial security. I wish I could get rid of the guilt. I wish I could live without anxiety. I wish I had a turtle and there were no wars. I wish to graduate. I wish for an easy death. It was overwhelming, a room full of many peoples deepest desires and longings. A room full of unmet hopes and dreams. A room full of painful daily realities. A room full of hollowness. Some dreams and desires will be fulfilled, but some will never be seen. It brought home to me the fragileness of life. The emptiness of our experience at times and how much pain we live with. It was a room that made me long for more. For hope beyond the stuff of this world. For a love that goes deeper than our deepest pain. For a love that gives dignity, value and worth to all and for all to know the security and confidence found in that love, whatever life throws at them. I felt the pain and ever so quietly I heard the pain and heartbreak of a Maker seeing children run from the open door, warm fire, hearty meal and large glass of wine waiting to give the weary rest.